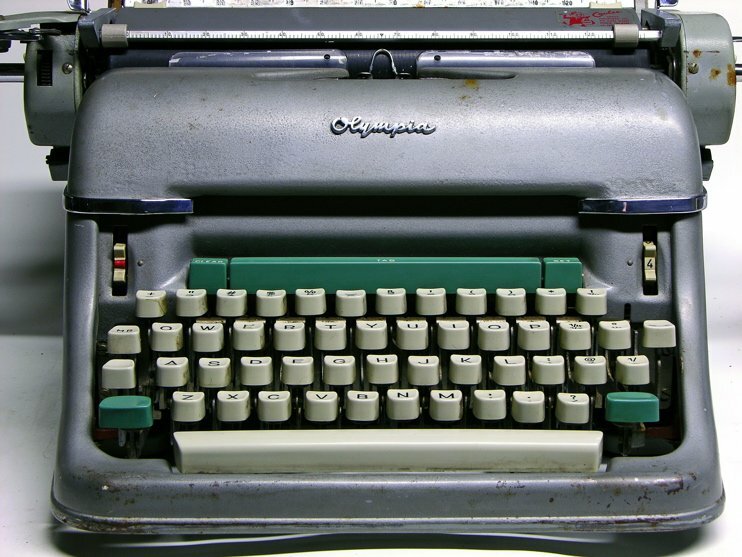 A fairly common machine, popular due to its unusual appearance, distinguished by its two downstroke typebar "towers". 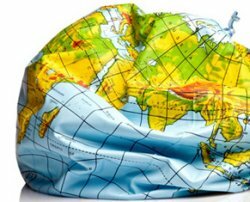 The most common in the US are the #3, #5, and #9; most in-between models were sold overseas. 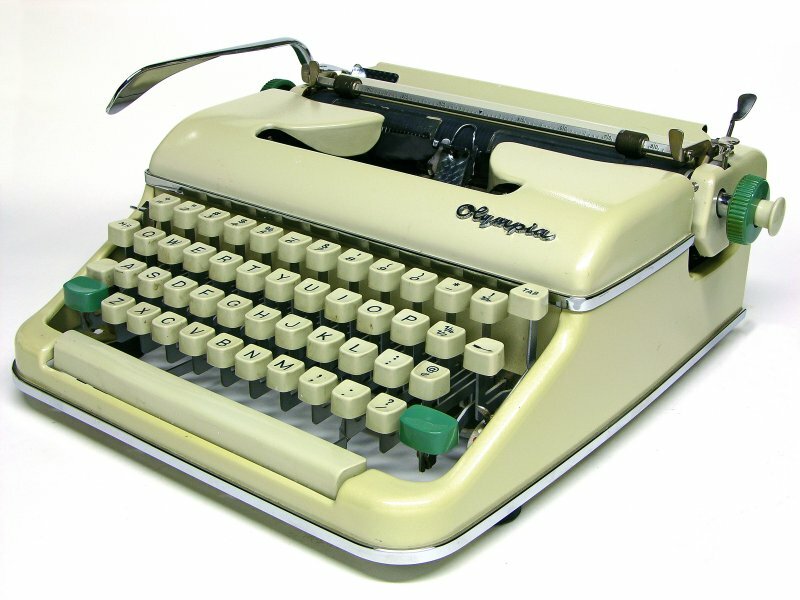 Some later models are designated "Printype", which was a larger typeface meant to mimic the font of books and newspapers. 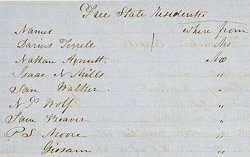 The Printypes can be easily spotted from a distance by the decal of a stout little man on the paper bail. Built like tanks, their nearly indestructable frame guaranteed that many would survive to this day. 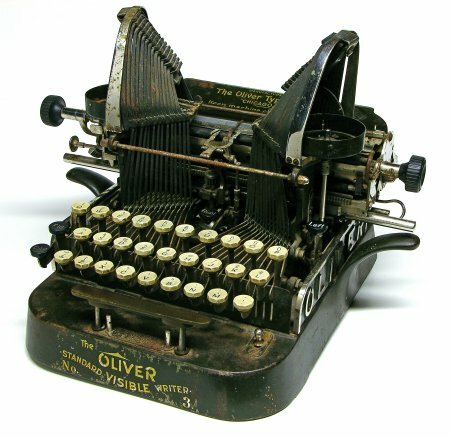 In 1926, the Oliver Typewriter Co. sold all of its assets to the British Oliver Typewriter Co., and production was moved to Great Britain. 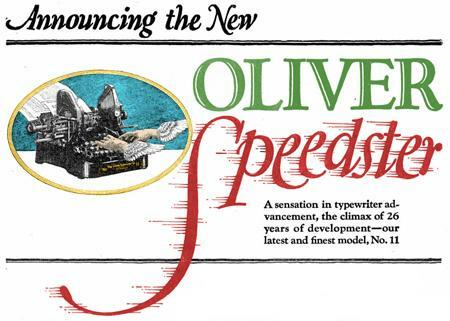 The new company soon dropped the classic three-bank Oliver and began to produce four-bank standard and portable machines. Most of these new typewriters were Halda designs produced under license and other than the name bore little relationship to the original Oliver. 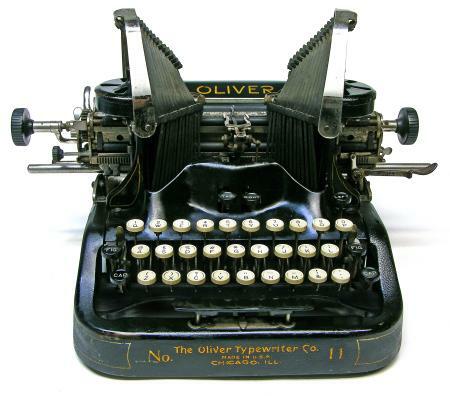 The #3 is easily distinguished by the large nickeled Oliver name embossed upon the sides. A key weakness is that the key levers are uncovered and thus vulnerable to dust and debris and whatever else might fall down there. If you're quite lucky, you might find an entirely nickel-plated #3! The key lever area is now covered and the base has been given a slimmer look. In addition, the machine now has a tabulator, a backspace lever, and a Ruling Device (pencil holder, not shown) for drawing lines on the paper. 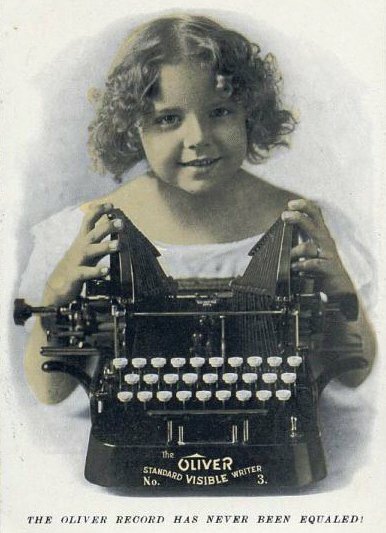 The specimen pictured has a special keyboard for pharmaceutical work. 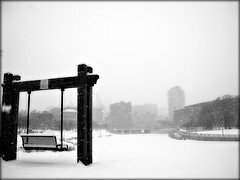 It was purchased at an estate sale in Rochester, MN, home of the Mayo Clinic. Could it possibly have belonged to one of the doctors with the Mayo practice? The #9 is much beefier than earlier Olivers in many ways, the most obvious being size. 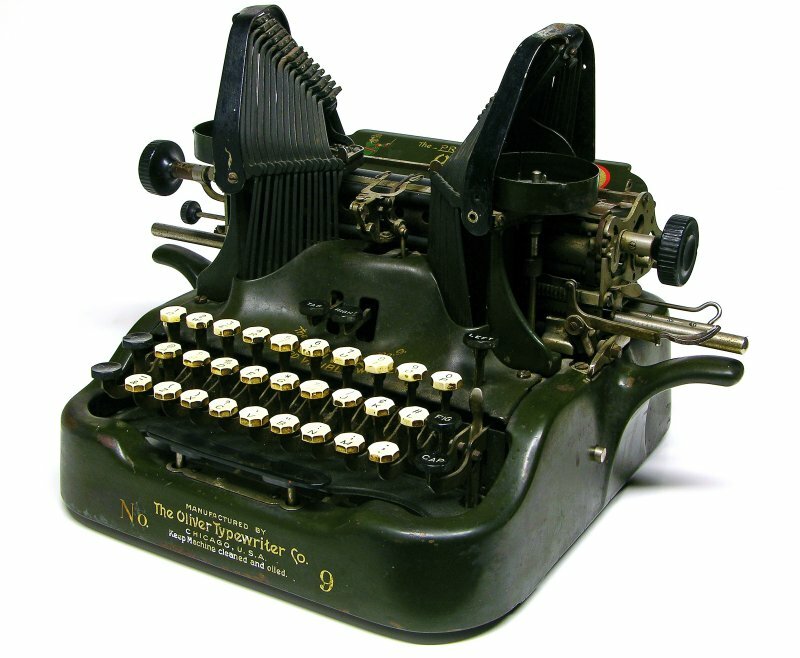 This #9 has the large-print Printype typeface. The paint scheme is significantly darker, almost black. A couple of minor mechanical differences from earlier models is that the ribbon selector has been transferred to a pair of side buttons (actually one continuous projecting rod) and the addition of right-hand shift keys. 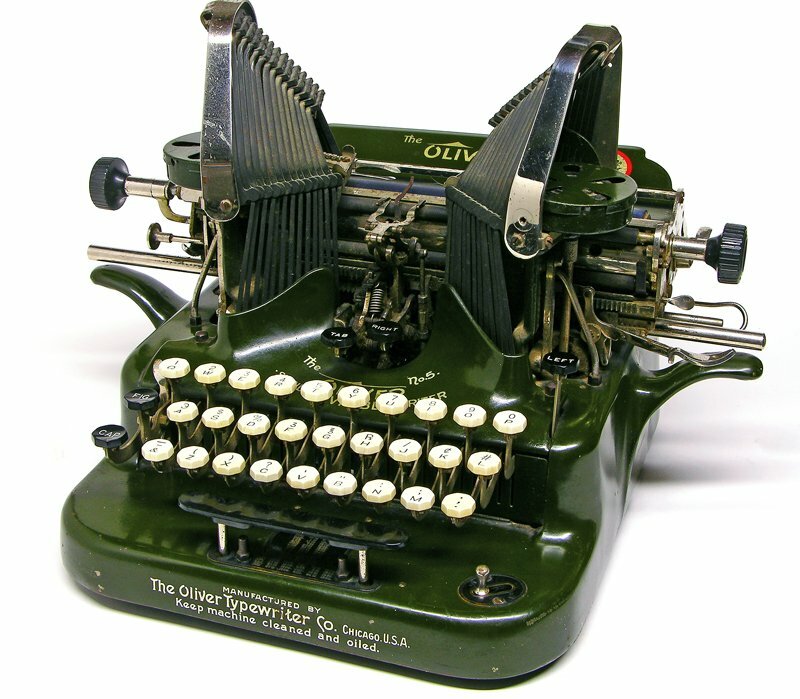 1922 saw the final American version of the iconic Oliver typewriter. 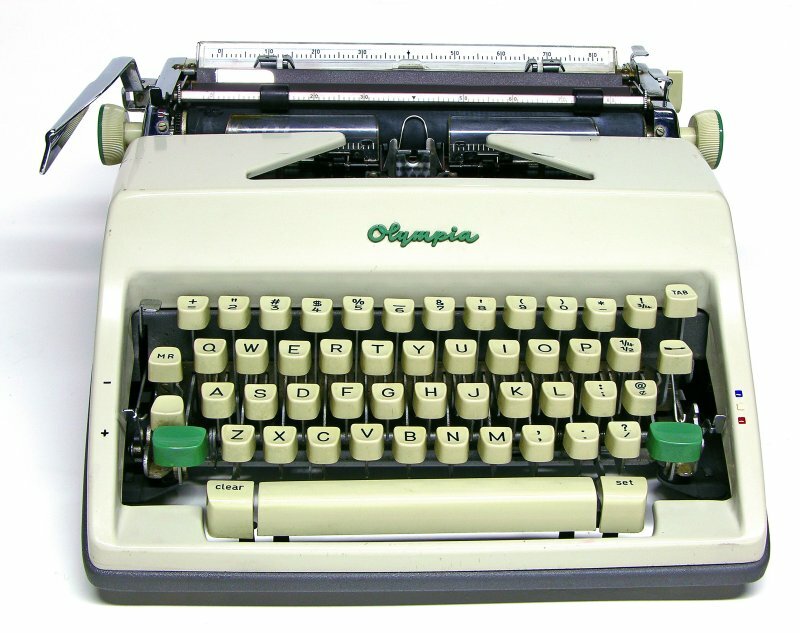 Perhaps in an effort to make it look more "mainstream", the side handles were removed and replaced by cutouts in the base, and its traditional green color became black. Pinstripes were added, and the lettering was given a more modern, almost art-nouveau look. The keys were also changed from octogonal to round. In 1928, the Oliver Typewriter Company was sold to British Oliver Typewriter Company, who continued production of the No.11 until 1931.